How can I schedule bulk garbage collections? Rockville provides six special bulk refuse collections per household each calendar year. Bulk refuse collections are for large refuse that does not fit into carts, such as a couch or desk. Call 240-314-8568 weekdays, 7 a.m. to 3 p.m., to schedule an appointment for collection. Place items at the curb by 6 a.m., in an unobstructedarea on the scheduled date. Special bulk refuse collections are limited to less than 500 pounds or 60 cubic feet. Self-hauling to the Montgomery County Transfer Station (16101 Frederick Road) is also an option. What can I recycle and throw away? Please click on this link to view the City of Rockville's refuse and recycling guidelines. What is the City of Rockville's non-emergency number? What services does the City of Rockville's Neighborhood Services and Animal Control Division provide and what is their number? The Neighborhood Services Division's primary function is animal control, including the licensing of dogs, picking up deceased animals, handling complaints involving animals, handling animal bite complaints and enforcement of animal control laws. The division also assists with the enforcement of parking violations and abandoned automobiles. When is trash & recycling picked up? Trash & recycling is picked up on Tuesdays. For additional information, visit the City of Rockville's Recycling and Refuse page. Who do I call for water and sewer emergencies and sewer backups? Call 240-314-8567 to report water and sewer emergencies and sewer backups 24 hours a day. Here's a link to the City of Rockville's Water page. How can I order the resale disclosure document package (HOA Docs) when selling my house? Resale packages are ordered through HomeWise. Please visit their website, www.homewisedocs.com You will need to create a login; when placing an order you can search for either the Name of the association (Rockshire HOA) or an individual property address. Who is our Community Liaison at the Rockville City Police Department? 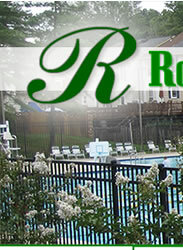 Who is the property management company for Rockshire? Where can Maryland state residents obtain free dispute resolution and mediation services when dealing with disputes concerning gas, electric, local telephone and certain water and sewer company disputes? The Commission's Office of External Relations (OER) offers free dispute resolution and mediation services to utility customer account holders and applicants for regulated utility service. The OER is available to assist consumers with disputes concerning gas, electric, local telephone and certain water and sewer company disputes. OER's function is to investigate disputes between consumers and utility companies based on applicable laws and utility tariffs, with the intention of assisting the parties in reaching a resolution. Â Please click on this link for more information: http://webapp.psc.state.md.us/Intranet/capa/ComplaintNotes_new.cfm.